One day, I was watching TV when this amazing commercial came on. It was a commercial by Dove promoting their Campaign for Real Beauty. 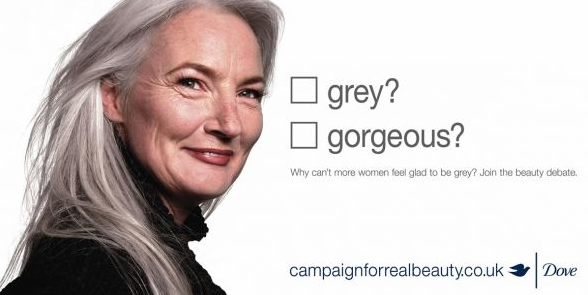 Essentially, it’s a marketing campaign launched in 2004 that seeks to embrace the natural beauty of women and the physical variation that we all have. Let me tell you, I got right into this real fast! I was so overjoyed that this happened. My main thought: It’s about time!!!! I couldn’t believe how GORGEOUS these women looked… and the best part is… they were REAL. Not to say that models aren’t “real” but what I’m trying to get at here is the women in the advertisement are the ones you see more of in your everyday life, and yet they are almost nonexistent in the modeling world. I was instantly connected to this advertisement (usually I just turn down the volume or change the channel or choose just not to listen). Upon doing my research I realized Dove is owned by the same company that owns Axe (along with a bunch of other ridiculous companies… including owners for skin bleaching products). The company is called Unilever. Have you SEEN the commercials that Axe puts out?! I mean, they can be pretty funny… and pretty awkward! They usually feature a male teenager with about 20 gorgeous girls instantly attracted him once he sprays on his Axe deodorant. The girls are usually half-naked and touching his entire body in an effort to display an unrealistic, totally exaggerated scenario of what would happen in real life if you were to use their product. Side Note: AS IF! Guys use waaaaay too much of that stuff, anyway. I can’t breathe around it. Anyway, this whole thing totally put into perspective for me that even the Campaign for Real Beauty is a marketing strategy (obviously, duhhh.. should have seen that one coming), their marketing team probably just realized “hey, we better do something different now because our traditional techniques are really blending in with the rest of the world’s”. 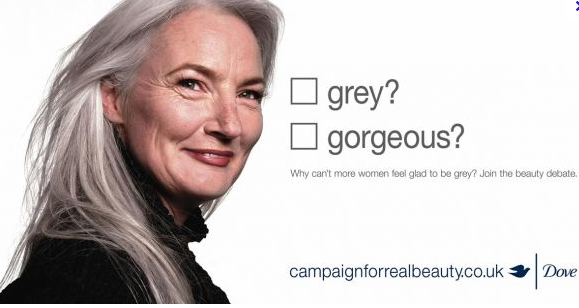 REGARDLESS about how you feel on this issue, I do just have to admit that the Campaign for Real Beauty is actually healthier than some other marketing techniques they could have used, I just wish Unilever would get on board with all their products.